I miss him! Well, the young him. Didya ever see Legend of Billie Jean?? Oh, those delightful guys of the 80s. Such a shame that Sebastian Bach and Axl Rose aged so badly. Maybe they should get photoshop. Lol! I have to send this to my husband as he has a total man crush on him. 2nd only to John Cusack of course. Oh girl, if you become Christian Slater, will you marry me? Pump Up the Volume AND Heathers. You just can’t beat that. I’m a little scared of Christian Slater. And River Phoenix?? I still cry when I think about him. I like you better than Christian Slater…just sayin’. To be fair, he has definitnty aged since Legen of Billie Jean lol. But I think he was about 13 then so that doesnt count. It was cool that he acted first with his sister though! I kept a small framed photo of Christian Slater on my nightstand years ago… Yeah, I’m not married to that husband anymore! If I didn’t love you, I would take offense at #5. 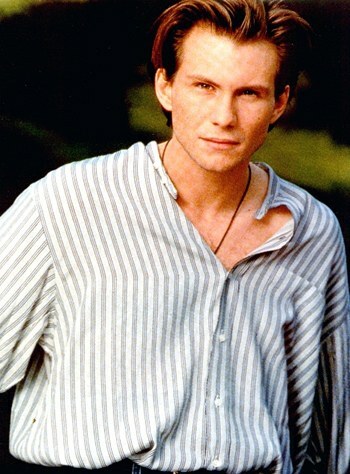 “@mommywantsvodka: 10 Reasons I Wish I Were Christian Slater: http://t.co/7fPw7Bw8” Hilarious! I <3 Christian too…and also nerds. My husband has a total man crush on him!! If vampires sparkled, wouldn’t all that light turn them to dust? Or whatever they turn to? I still have impure thoughts about Pump Up the Volume. All that radio equipment.